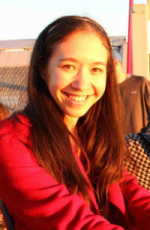 Erica Kanesaka Kalnay has been a Writing Center tutor at the University of Wisconsin-Madison since 2015. 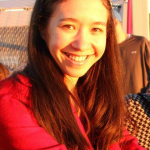 She is also a PhD candidate in Literary Studies, with a focus on Victorian literature, children’s literature, and literature and psychology. 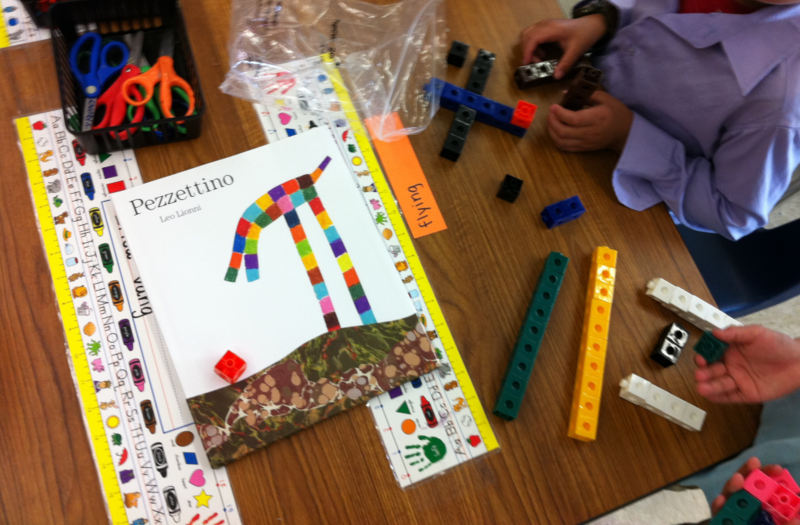 A former early childhood teacher, she studies intersections between reading and play. When I taught kindergarten in an urban public school in Milwaukee, my “writing center” was a real plastic mailbox I purchased at the hardware store. 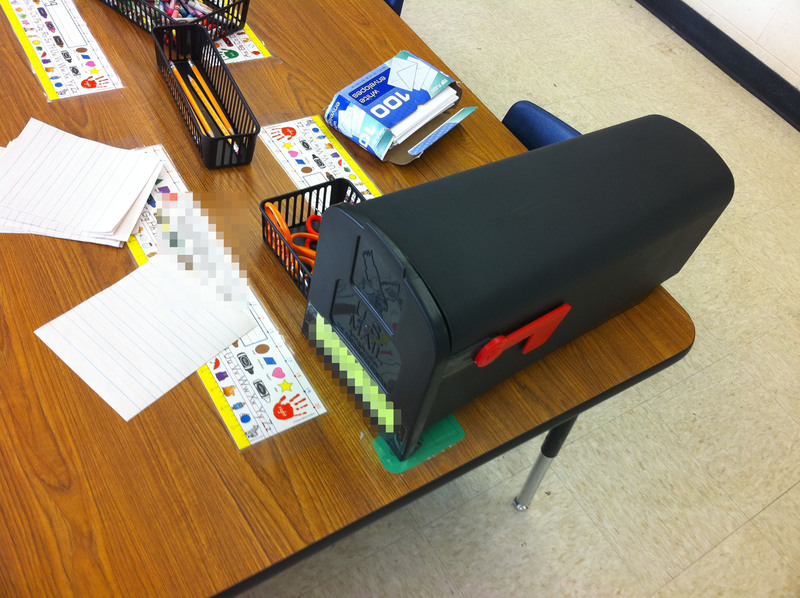 The mailbox was satisfyingly large and had a bright red flag that the children could flip up and down to announce the arrival of the mail. When I called center time, the children at the writing center would move the mailbox to a table and reach deep inside it to unearth its contents: pencils, papers, envelopes, child-sized clipboards, stickers, and other surprises. In early childhood classrooms, “center time” is the name given to the time of day when children play in small groups at stations scattered throughout the room. This time of day allows for dialogic, exploratory learning. A classroom might have a writing center, a library center, a science center, a block center, an art center, and a dramatic play center. 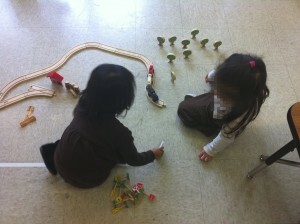 The children might rotate through these centers, or be invited to select centers according to their interests. At a kindergarten writing center, children might find a cozy nook from which to write; or they might wander about the classroom, copying letters and words; or they might talk about their writing with other children, sharing their ideas and helping one another. They might write journals, lists, signs, or stories. They might write with multicolored pens, chalk, magnets, stamps, pudding, shaving cream, or sand. The teacher uses this time to work with students one-on-one, to ask them questions about their writing, and to listen to their ideas. A kindergarten writing center provides space for students to practice writing in context and through dialogue, and in this way might not be so different from a writing center on a university campus. 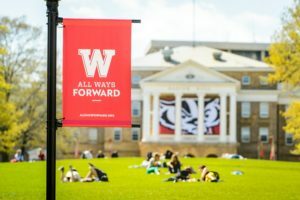 At the University of Wisconsin-Madison’s Writing Center, where I now work, you can find students and tutors leaning together over 8 ½ x 11 sheets of paper, discussing a whole range of topics—from medical ethics in online psychotherapy to the investigative methods of fictional detectives—often with as much intensity and inventiveness as children immersed in play. To say that writing center work can be playful is neither to belittle it nor to romanticize it. As Johan Huizinga notes, play is integral to language, a “sparking” between mind, matter, and mind (4). And, even in a kindergarten classroom, play does not exist irrespective of ordinary life, but rather, must find a way to carve out its own space with respect to “business as usual.” The writing center’s “marginal” position in the university—when I meet with a student, we are largely unencumbered by the pressures of evaluation—provides the opportunity for writers to start thinking about their ideas from new angles, even if only in the protected space and time of a thirty-minute appointment. Play allows children to practice social skills alongside academic ones. These children have cooperatively decided to write their friend’s name on a nametag, as they take turns playing the role of store clerk. Kindergarten children enjoy learning to write in a social context. The names of their family members and classmates have special significance to them. In academics, some measure of routine may be necessary, and may even be liberating. Still, when I meet with the occasional college student who comes to the Writing Center expecting to receive a proscriptive answer to how to complete a complex assignment, I can’t help but think back to my kindergarteners with their clipboards, ready for any challenge rendered as play, and wonder why such a gap separates there from here. Therefore, in the remainder of this post, I want to present a case for why college writing pedagogy should think more about what’s happening in public education, even going back as early as kindergarten. Many of the “habits of mind” valued in postsecondary writing—curiosity, openness, engagement, creativity, persistence, responsibility, flexibility, and metacognition—are first fostered through childhood play. With center time, or time for play-based learning, disappearing from kindergarten classrooms, the education system is devaluing these qualities long before college students even set foot on campus. Despite the preponderance of evidence that supports the long-term effectiveness of open-ended play in early childhood, recent studies find that many kindergarteners spend less than half an hour a day at center time (Miller 11). Young children are tactile and learn better when they can engage their senses. 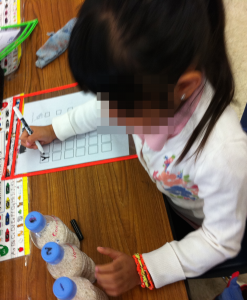 This girl searches for letter beads in bottles filled with rice, as she learns to write three-letter words. The children, I was told, were “underperforming,” even at the ages of five and six, and there was not a moment to waste on zeppelins or make-believe. While the educational inequality they faced was certainly a matter of urgency—not to mention, a grave injustice—“achievement” here was defined only by a quick jolt to their standardized test scores, and therefore most easily realized through the most direct route of skill-and-drill. “The school [has become] a sort of apparatus of uninterrupted examination that duplicated along its entire length the operation of teaching,” writes Michel Foucault in Discipline and Punish (186). I read this book for the first time when I left public education for graduate school, but felt like I already knew the methods of discipline by heart. Today, as a Writing Center tutor, I am consequently not surprised when I encounter the students who expect proscriptive answers, nor do I blame them. I don’t even regard these students as overly compliant as individuals—just tentative thinkers within an educational setting. Many undergraduates come to the Writing Center to experience a sustained, one-on-one conversation about their writing for the first time. Furthermore, I’m sure many of them are well aware of the myriad ways in which they will be—and already are—evaluated according to standardized criteria. These children are engaged in free play, while at the same time practicing social skills, spatial skills, fine motor skills, sorting skills, and storytelling skills. In fact, in alignment with the “iconoclastic” notion of the writing center’s marginal position in the university, many writing center scholars see challenging a formulaic notion of writing as a fundamental aspect of the work itself. Alice W. Gillam imagines the writing center as a space for dialogism, for “foreground[ing] the centrifugal forces of language” (5). Likewise, the authors of The Everyday Writing Center state, “We like to think of our writing centers as places where deep-change accidents occur, of the doorways to our writing centers as something other than the familiar gate-keeping devices” (15). They characterize the writing center tutor as a trickster figure, the writing center as a space for encouraging flexible thinking and collaboration—for what we might call an adult variant of play. Can academic writing be like play? While academic writing cannot be fully disentangled from “work,” the path to a finished paper is rarely a straight line. I tend to tinker for hours on Scrivener—color coding, rearranging, and reimagining—before I stumble upon my own ideas. In my own work as a tutor, I believe a playful approach need not be elaborate; it can even mean attuning myself to the playful elements within the fairly standard writing center practice of listening enthusiastically to students’ ideas while providing them with gentle challenges and “what ifs.” During a long string of sessions, I find it helps to periodically check myself to make sure I’m not falling into a “let me try to understand what you’re saying” mode instead of one that asks what other possibilities could exist. 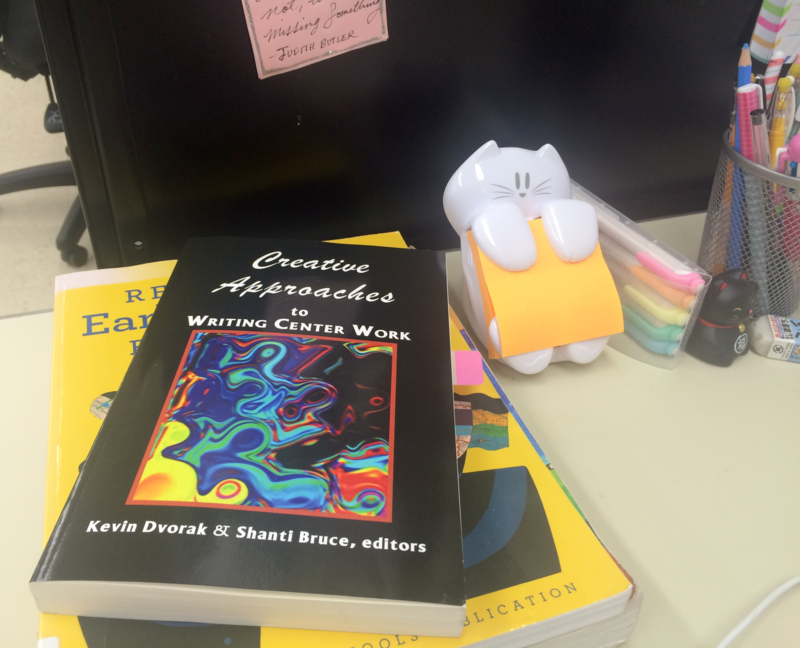 Creative Approaches to Writing Center Work, a collection of essays edited by Kevin Dvorak and Shanti Bruce, presents methods for integrating playfulness in writing centers. But why wait until college? Recently, attention has been drawn to the possibility of developing the writing center model at the pre-collegiate level. For example, Jane Greer and Djana Trofimoff have studied the successful implementation of a student-initiated writing center at an urban high school in Kansas City. They conclude, “A lively, talk-filled space where students work with each other and move energetically among a range of literacy activities… can be created in high schools” (26-27). Still, perhaps the heaviest burden of standardization continues to fall upon low-income students, who have less recourse to alternative educational options and extracurricular opportunities, and who face the pressures of a deficit model that habitually describes them as “failing.” I believe scholars at the university level have a stake in dialoging more deliberately with teachers, administrators, policy-makers, and families in primary and secondary education. There are both pedagogical and political incentives. Just think of some of the most fundamental lessons you’ve learned as a writer—how to move paragraphs like building blocks, how to develop a narrative, how to recognize patterns, how to imagine the world from another perspective, how to nudge your way into an argument—where and when did you learn how to do that? Please take a moment to share your own thoughts in the comments. How might writing centers and universities better foster creativity? How might writing centers and universities build stronger bridges with primary and secondary schools? What memories do you have of your own childhood play, and what do you think you learned from it? CWPA, NCTE, and NWP. Framework for Success in Postsecondary Writing. 2011. Web. 1 Aug. 2016. <http://wpacouncil.org/framework>. Dvorak, Kevin and Shanti Bruce, eds. Creative Approaches to Writing Center Work. Cresskill, NJ: Hampton Press, 2008. Foucault, Michel. Discipline & Punish: The Birth of the Prison. Trans. Alan Sheridan. New York: Vintage, 1995. Geller, Anne Ellen, et al. The Everyday Writing Center: A Community of Practice. Logan, UT: Utah State UP, 2007. Gilliam, Alice M. “Writing Center Ecology: A Bakhtinian Perspective.” Writing Center Journal 11.2 (1991): 3-11. Greer, Jane and Djana Trofimoff. “‘Living Large and Taking Charge!’ Students Read and Write Their Way to a High School Writing Center.” English Journal 102.5 (2013): 21-27. Huizinga, Johan. Homo Ludens: A Study of the Play-Element in Culture. Mansfield Centre, CT: Matino Publishing, 2014. Miller, Edward and Joan Almon. Crisis in the Kindergarten: Why Children Need to Play in School. College Park, MD: Alliance for Childhood, 2009. Thank you for sharing these thoughts and experiences, Erica. I appreciate the cross-contextual work you are doing in pulling kindergarten into conversation with collegiate writing centers. As a writing center tutor, one thought I had while reading your post is, “What is the role of fun within these processes of playfulness?” Writing (and especially academic writing) is often understood to be tedious labor. As such, is it useful to reorient ourselves towards a perception of writing as fun in order to approach it playfully? Or perhaps approaching writing playfully will draw out its funner aspects? Erica, I absolutely love the idea that we can have “writing centers” in our own classrooms. In fact, it is my training at the writing center that I draw on both when I work with students on their writing and when I ask students to work on their writing with each other. And indeed, good writing center work *is* playful–it is dialogic, imaginative, and–to speak to Matthew’s question–I think good writing center work is also fun. And fun is contagious. When I’m having fun at a writing center meeting, my student often follows suit. Having someone be excited about your work is not only viscerally satisfying, it is also instructive. Like any positive feedback, it helps students zero in on what is already fabulous about their work and how to replicate that fabulousness elsewhere. Erica, thank you for such a thought-provoking post. While reading about your experiences teaching kindergarten, I was having flashbacks to my own teaching experiences in Milwaukee—though my 9th grade Algebra classroom certainly looked different. 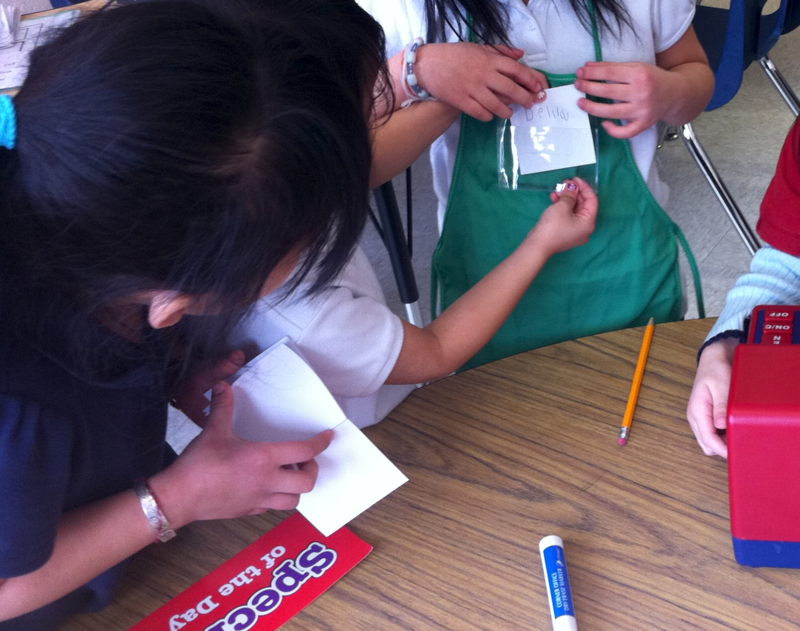 I’ve always struggled with balancing my attempts to give students an opportunity to “play”—in my math classroom it could be crafting questions that were open to solutions or exploration down a variety of lines of investigation—with my awareness that the school’s (and the state’s) disciplinary apparatus usually required or rewarded particular approaches—there is at least a fastest way to answer math questions on the ACT. While the one-on-one structure of the typical Writing Center appointment affords better opportunities to temporarily break out of a set heavily disciplined expectations students might be experiencing either in the class for which they are writing or as traces from the education experiences of their past, I know that I still sometimes struggle to make my appointments “playful” enough for students to feel comfortable considering and coming up with different approaches to their revision than they came in prepared to discuss. To build on Maggie’s response, I wonder if being playful as a tutor can have the same effect on the student as having fun during the appointment. In any case, it is definitely something I will be paying attention to in my future appointments. I love everything about this post, Erika! You’ve done a fine job of synthesizing your experiences in early childhood education with your teaching at the university. With my own Writing Center and literature students, I have long been a proponent of “play.” I use that exact language often to encourage my students to “play” with ideas and their writing. Do so might include drawing images, making a big wall chart, piecing together post-it notes or bits of colorful paper, or offering a more kinesthetic explanation of their idea by physical “performing.” Since we all learn in different ways, movement, art, and tactility can all be mobilized to help students do the messy, but fun, work of writing. By emphasizing that writing is messy, students learn that writing a “perfect” draft on the first try is not only impossible but not the best to way to improve their writing as a craft. Students often arrive in college having deeply imbibed the disciplinary model of school that you, by way of Foucault, note can quash time and motivation for play. The problem that I often see with this is that students have come to view all assignments, including writing, as a product that they put out and never touch again. This mentality does not work with writing because it is communication, which means it has to be responded to on the other end by a reader. To return to your central point about “play,” I still do remember being quite young and the vast difference between playing alone and playing with friends. Alone my play was entirely silent, in my own mind, though often creative for the silent space that gave me. When with others, my play became rambunctious, energetic, and loud. Both modes of play work for writing, but when students come to realize they are writing for others, there is an excitement to that paradigm shift. “Someone else wants to imagine this with me,” is a powerful idea. Indeed, it is one that you advocate and articulate here beautifully! Thanks so much for this excellent post, Erika! It was a joy to read. Thanks for this, Erica! Your post recalls for me a tension I often feel in my own conversations with students about their writing—a tension between this desire for playfulness (in both the student’s writing and in our conversation about it) and the “set of heavily disciplined expectations” (as Aaron puts it) within which the student is (or feels to be) required to perform. I frequently find myself acknowledging the arbitrariness or outmodedness of a generic convention while simultaneously helping the student learn to recognize its contours, because those contours hold some value in their implicit promise that, if the student can recreate the conventional form closely enough, they’ll get that A, that job, etc. I wonder if this is anything like what you felt when pressed for time against the question “What is a zeppelin?” I wonder how an argument for play and against standardization in K-12 public schools might also be, in a way, an argument for inventiveness and against disciplinary/generic strictures in academic writing? I think there’s a way in which writing center instruction can foreground not only play but play within and against broadly conceived “standards”—perhaps because of its position at the “margins” of the academy—that might be put into dialogue with K-12 teachers’ resistances to standardized instruction and assessment. I’m going to keep thinking on this—thanks, again! Erica, I love the way you connect these experiences in a Kindergarten classroom with old and new Writing Center scholarship that we probably haven’t associated with play or fun. I also find your perspective on mandated instruction to be the sad truth about the kinds of instruction many of our students have had prior to college. I love your suggestion to consider writing center work as a form of play. It reminded me of two different kinds of writing workshops I tried to do in my introductory composition class a few years ago. One time, I brought a pair of scissors for each group and instructed them to cut all of the paragraphs in each essay apart and then try to rearrange them in a way that made more sense (we were focusing on structure and transition phrases). I was disappointed to see how they negotiated out of this task that I thought would be playfully fun as well as instructive: “Can’t we just re-number the paragraphs without cutting?” they asked. I gave in, and I haven’t re-tried the exercise. In another workshop, I brought multi-colored highlighters and asked students to color-code one or two specific elements in an essay (e.g. all the topic sentences). This one worked a little better, but I still often sense that students don’t want to look like they’re having too much fun with writing; maybe I feel the same way too. Your post makes me think that these assumptions (including my own) about writing as “serious business” may not be fostering students’ creativity and attention to the ways play can help them to be better writers. I love this sentence. I want it on a t-shirt or a sign. Particularly in light of the pressure you discuss in K-12 education to guide students away from play and toward a, so-called, serious education, it’s remarkably frustrating to see that dynamic duplicated in higher education. Lewis Hyde’s piece that you reference, “The Trickster at Your Table,” is one of my favorite for that same reason. It re-centers the value of intentionally, or unintentionally, losing one’s way on the path to an argument. Although I appreciate suggestions for how to foster that playful spirit in students visiting the Writing Center, I find it even more compelling for tutors. When you talked about your own attempts to “periodically check” yourself, to make sure that you weren’t falling into lock-step, prescriptive patterns, I thought about all of the times I’ve had to do the same thing. I enjoy playing with ideas during Writing Center appointments, but–by and large– I’m much more comfortable when the the visiting student is the one doing most of the uncomfortable playing in the wilderness. If I get lost, I have remind myself that it’s useful and that we can find our way back out together. Thanks for sharing these ideas, Erica! I loved your connection to the kind of color-oriented work “center time” encouraged with your own colorful Scrivener writing practices…I’m wondering these days about how fostering creativity around our own tutoring practices can in particular help students with disabilities. How might flexibility–and fun–be a part of figuring out what works best? I’ve started telling students I work with that if the format we’re using isn’t working that we can always change it–and I also present new techniques as a fun experiment. Anyways, thanks again for sharing! 1) There seems to be a tension in your examples and those of some commenters between wanting to invite students to play, and the students not being in the mood for it (e.g. Zach’s students wanting to renumber instead of play with cutting pieces of paper apart). Such groups and students seem resistant to enjoying working on their writing. And yet, so many students leave the Writing Center emoting relief, happiness, even joy. I’d be curious to hear your thoughts, Erika, on how writing and revising becomes play through emotion, and whether perhaps some of our students are experiencing it as play without even realizing it. 2) Your connection between learning and play has implications for how we treat our Writing Center staff, too. Readers outside UW-Madison may be interested to learn that when our Writing Center switched to online scheduling and record-keeping this past summer, the corner in the Writing Center of four record-keeping computers was downsized to one, and the space was filled by a table meant as a community-building space for tutors. It took only a few weeks for puzzles to start appearing on the table, usually in some state between started and finished. I have found that spending just five minutes (though I will also admit to a 40-minute puzzle binge last Thursday) playing with whatever puzzle is out is rejuvenating for me, whether I’m feeling bogged down by teaching or by my own writing. I love the idea that we can use play to further writing, and this seems to be one form of that idea. Sometimes in order to get through the work, I need to step away for a minute to play. And that perhaps makes play just as integral to the work as the work itself. I found myself eagerly nodding my head throughout this entire piece. I love that you draw connections to K-12 play and question the ways that education pulls students away from this mode of learning. This past week, I’ve been thinking a lot about “what counts” as writing, especially as I’ve been learning more about strategies like drawing comics in the classroom. I think broadening our idea of what counts as writing, and by extension, what counts as writing center work, can be a way into the play you’re talking about. What if we had students try to draw their arguments? Or instead of just talking about an introduction as a map, we literally have them draw a map of their paper? I think shifting between these modes of writing can yield new perspectives, and cause these “places where deep-change accidents occur” that you quote earlier in your piece. 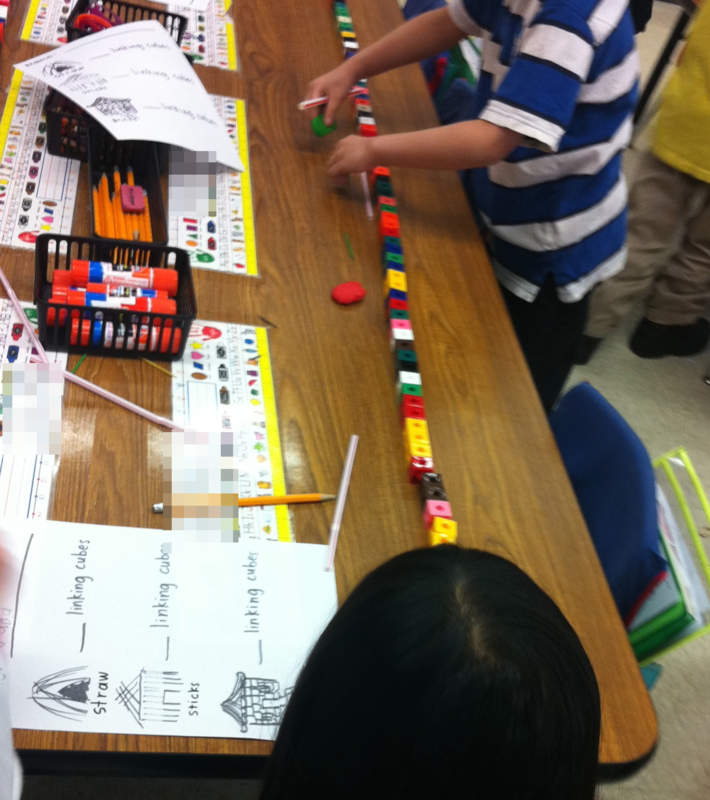 I love the idea of writing manipulatives and being able to physically rearrange your paragraphs. I also wonder what interventions we could think about in order to prepare students for this kind of play in their writing. Would that start at the high school level? Would there be a way to teach students about the value of this kind of play in their writing? Should we be expanding the way students think about writing early on in college classrooms rather than simply reifying the ways of writing that the university encourages? I’m asking questions in addition to your questions, but that’s just because you’ve got me thinking about so many good things. Side note- my mom always asks me why there aren’t more writing centers in high schools, and I always tell her I wish there were. I wish so badly this was something that began earlier in education. This is a very intriguing post, Erica. It made me remember my experience in a high school during my teaching practice–when I was frustrated by the standardized materials that I had to deliver without much room to try anything else. I meet many students who are extremely anxious about finding “the right answer,” preventing themselves from being more creative. And I totally agree, they are not to be blamed since such attitude or anxiety stem from the education they’ve received. Next Post Our Blog Receives the John Lovas Award from Kairos!